Located in the premier Old Dairy neighborhood of the Homestead Preserve in historic Warm Springs just 5 miles from the Omni Homestead Resort with all its impressive amenities, spa, golf, tennis, ski, swim, shoot, ride, great restaurants and more! Farm House architectural style is recommended for building on this 5.39 acre lot. No time constraint to build. Annual 2017 property taxes are $715. Ownership in the Homestead Preserve provides owners exclusive use of the Old Dairy Complex and all its amenities in historic Warm Springs. Annual 2017 Homestead Preserve HOA fees for the unimproved lot are $2189.00. Directions - From the Omni Homestead Resort Hwy 220 North to Warm Springs to the Old Dairy complex. Turn right on Old Diary Road at the Dairy. OD#18 is the first lot on the left situated just above the Dairy's historic Herdsman and Bullbarn Cottages. 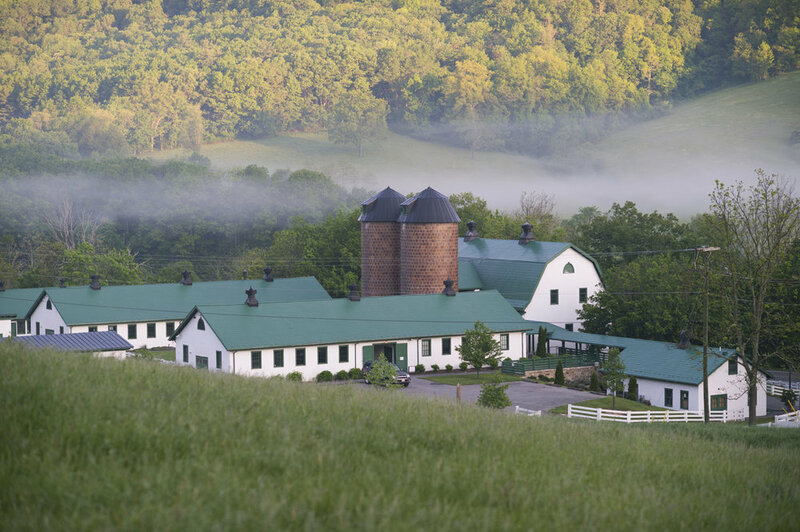 Awesome views of the Warm Springs Gap, Old Dairy complex and pastoral fields! A full Omni Homestead Golf & Tennis Membership may be purchased with this lot. Call for more details.